Officials from the Carter Center met with top officials of the Guyana Elections Commission (GECOM), including Commissioners, to get a better understanding of their readiness for General and Regional Elections. 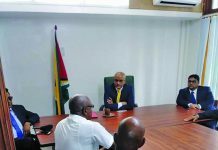 GECOM Public Relations Officer Yolanda Ward told Guyana Times that the meeting, which took place on Monday morning, saw two representatives from the Center in attendance. “The visit was basically for information gathering. They have been following the developments in Guyana in relation to elections and so they requested to meet with the Commission,” she explained. 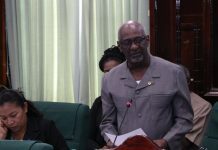 According to Ward, while the Opposition-appointed Commissioners Bibi Shadick, Sase Gunraj and Robeson Benn were present, those appointed by the Government were absent. Also present for the meeting with the unnamed Carter Center officials were GECOM Chairman, Retired Justice James Patterson, and Chief Elections Officer (CEO) Keith Lowenfield, and three others. Asked whether the meeting is the start of a series of similar ones, Yard said the officials did not indicate, but just wanted to get an update as to the Commission’s preparedness for an election. 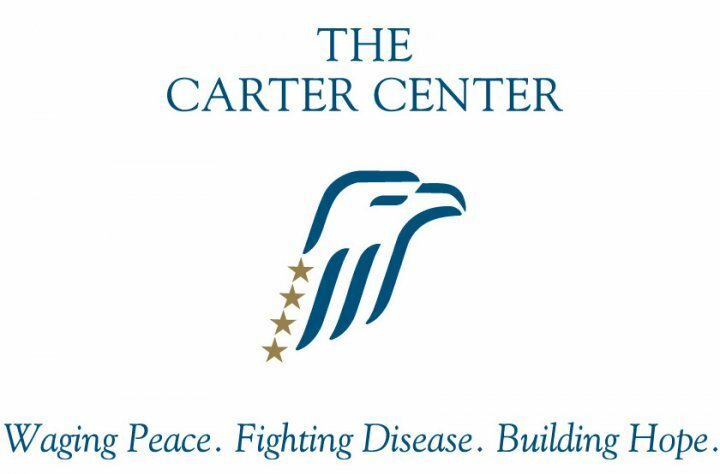 The meeting was based on a request made by the Carter Center to the Commission. Reports are that questions in relation to the December 21, 2018 no-confidence vote, which saw the fall of the coalition Government and events that have stemmed out of this issue since then were raised. While the two female officials did not offer a comment to the media following the meeting, People’s Progressive Party (PPP)-nominated Commissioners did provide some comments and clarity about the meeting. Commissioner Benn told media operatives that the meeting was an indication that the international community was paying close attention to the issues regarding elections in Guyana. He said it also confirmed the Carter Center’s interest in Guyana’s democracy. The Carter Center has observed every election in Guyana since 1992, upon the invitation of late President Dr Cheddi Jagan. Meanwhile, Commissioner Gunraj said that the Carter Center officials were provided with updates in relation to the timeline and laws for the holding of elections and GECOM’s readiness. He stated too that they questioned the GECOM team on registration of voters. “They did not express concerns, but they did ask about timelines and ,of course, we presented that,” he explained. The Commissioner made it clear that the Center’s role was not to mediate, declaring that GECOM has a constitutional mandate to hold General and Regional Elections. “Our role, our duty is to hold elections when they are constitutionally due. Anything outside of that, I don’t see any mediation in that, there is no role for mediation in that,” he said. GECOM’s CEO had previously stated that elections could not be held by the constitutionally due and court-ordered March 19, 2019 date. This, he noted, is as a result of the amount of preparations needed. 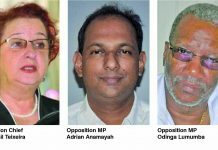 It was noted that a total of 148 days was needed to prepare for elections, according to Lowenfield, if the Secretariat now gets the go-ahead to commence election preparations. He said that the country could head to the polls sometime in July 2019. 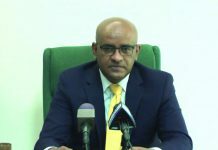 However, according to the Constitution of Guyana, following the passage of a no-confidence motion, General and Regional Elections must be held in three months. Meanwhile, Deputy CEO Roxanne Meyers said if a July date was being considered, then it would have to be taken into account that the List of Electors would be invalid since it would have expired on April 30. According to Lowenfield, the options available to update the list are house-to-house registration, which will take some nine months, or a Claims and Objections (C&O) period which can last some 35 days. The latter, he noted, is the most favourable option, which will see the use of the expired list as a preliminary list in the process of creating a new Official List of Electors (OLE). “…for the purposes of this election, what the Secretariat has suggested to the Commission is that we do a C&O with registration for a duration of 28 days’ period and a seven days’ objections period with the view… towards an early deliverable for elections,” he stated. The Chief Elections Officer disclosed that the elections body had used the C&O mechanism in the past for the production of an OLE for the hosting of polls. As time progresses without any move towards the hosting of elections, the PPP/Civic Opposition is accusing the Elections Commission of deliberately delaying polls.